The fascinating story of Andrew Lloyd Webber’s “Phantom of the Opera” continues in “Love Never Dies,” making its North Texas premiere July 24 at the Music Hall at Fair Park. The national touring production will be presented by Dallas Summer Musicals and Broadway Across America through August 5 in Dallas. Following its Dallas run, the touring production will travel to Fort Worth, where it will be presented by Performing Arts Fort Worth at Bass Performance Hall August 7-12. With music by Andrew Lloyd Webber, lyrics by Glenn Slater, and a book by Ben Elton, based on “The Phantom of Manhattan” by Frederick Forsyth, “Love Never Dies” also features additional lyrics by Charles Hart and orchestrations by David Cullen and Andrew Lloyd Webber. Single tickets for the Dallas engagement of “Love Never Dies” start at $20 (pricing subject to change) and are now on sale at DallasSummerMusicals.org or by phone at 1 (800) 745-3000. Orders for groups of ten or more may be placed by calling (214) 426-4768 or emailing Groups@DallasSummerMusicals.org. 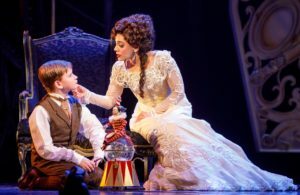 Single tickets for the Fort Worth engagement of “Love Never Dies” start at $44 (pricing subject to change) and are now on sale at www.basshall.com. To charge tickets by phone, call 1-877-212-4280. For group sales, call 817-212-4248. Directed by Simon Phillips, the production features new set and costume designs by Gabriela Tylesova, choreography by 2011 Astaire Awards winner Graeme Murphy, lighting design by Nick Schlieper and sound design by Mick Potter. The show is one of the few instances of a major West End musical being given a complete makeover for subsequent productions. The year is 1907. 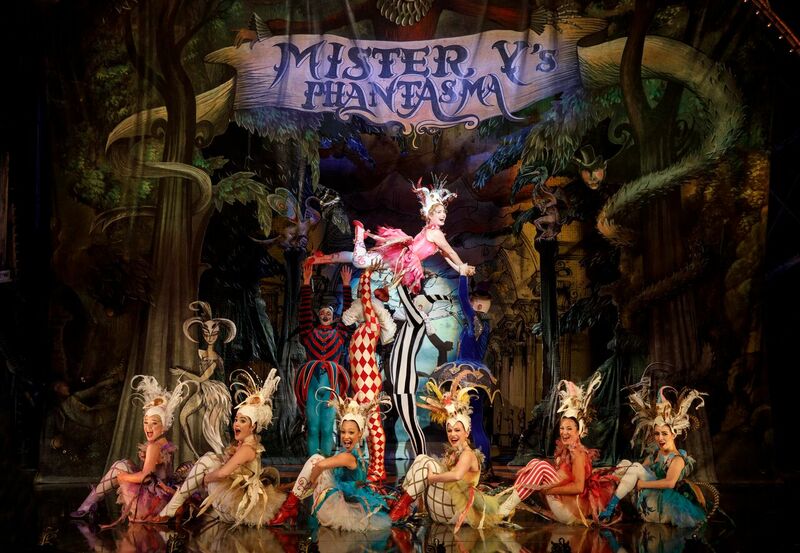 It is ten years after his disappearance from the Paris Opera House and The Phantom has escaped to a new life in New York, where he lives amongst the screaming joy rides and freak shows of Coney Island. In this new, electrically charged world, he has finally found a place for his music to soar, but he has never stopped yearning for his one true love and musical protégée, Christine Daaé. Now one of the world’s finest sopranos, Christine accepts an invitation to travel from Paris to New York to perform at a renowned opera house. Christine’s marriage to Raoul is suffering at the hands of his drinking and gambling and they desperately need the financial rewards that America can give them. In a final bid to win back Christine’s love, The Phantom lures her, Raoul, and their young son, Gustave, from Manhattan to the glittering and glorious world of Coney Island – not knowing what is in store for them. Since its premiere in 2010, “Love Never Dies” has enjoyed productions worldwide in London, Australia, Denmark, Japan and Germany, as well as multiple recordings including a concept album. A DVD release of the Australian production has delighted fans globally, and now the North American tour brings the musical to the U.S. for the first time. For more information, visit loveneverdies.com. BROADWAY ACROSS AMERICA (BAA) is part of The John Gore Organization family of companies, which includes Broadway.com and The Broadway Channel. Led by 11-time Tony-winning producer John Gore (Owner & CEO), BAA is the foremost presenter of first-class touring productions in North America, operating in 44 markets with over 400,000 subscribers. Broadway.com is the premier theater website for news, exclusive content and ticket sales. For more information please visit Broadway.com.